Absorbs Easily Into the Skin without Leaving a White Film on the Skin. No Toxic Chemicals! Zinc Oxide is Safe and Effective for Sun Protection while the Chemicals in Chemical Based Sunscreens Absorb into the Skin and Body and Create Free Radicals which are Known to Cause Skin Cancer. Many Chemical Sunscreens also contain Preservatives that can cause Hormonal Disruption. 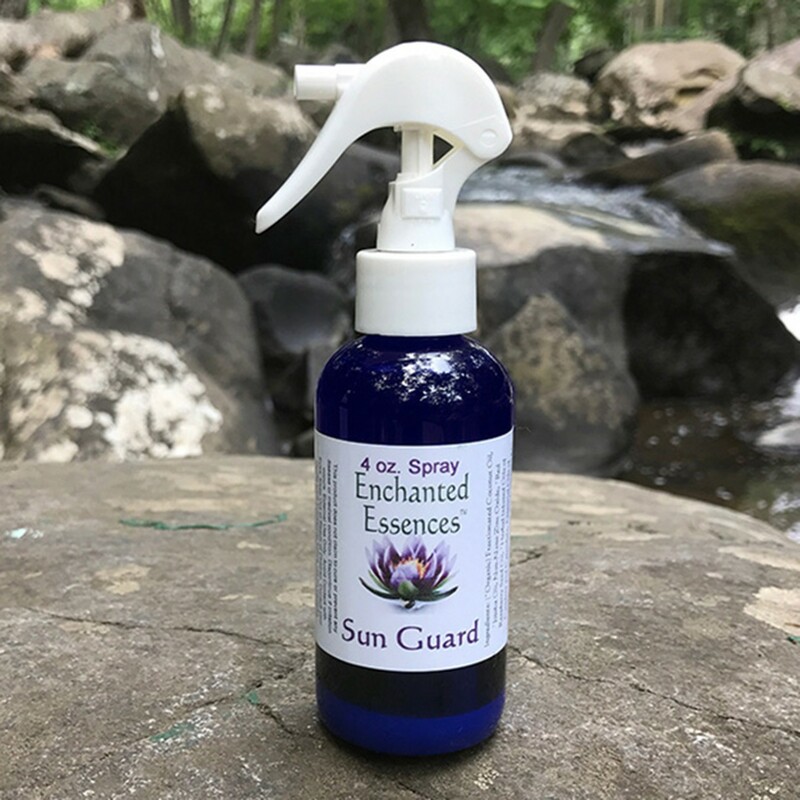 Contains: (*Organic) Fractionated Coconut Oil, *Jojoba Oil, Non-Nano Zinc Oxide, *Red Raspberry Seed Oil, *Herbal Infused Oils of Comfrey and Calendula, Essential Oils of *Lavender, *Spearmint, Carrot Seed, Vit E (Tocopherol). Directions: Unlock Sprayer by pushing tab in. Shake well before use. Spray onto skin and rub in until absorbed. Reapply as needed. Zinc Oxide is known for its ability to reflect, scatter, and absorb UVA and UVB rays. Contains: (*Organic) Fractionated Coconut Oil, *Jojoba Oil, Non-Nano Zinc Oxide, *Red Raspberry Seed Oil, *Herbal Infused Oils of Comfrey and Calendula, Essential Oils of *Lavender, *Spearmint, Carrot Seed, Vit E (Tocopherol). Directions: Unlock Sprayer by pushing tab in. Shake well before use. Spray onto skin and rub in until absorbed. Reapply as needed. Zinc Oxide is known for its ability to reflect, scatter, and absorb UVA and UVB rays. Zinc Oxide is Safe and Effective for Sun Protection while the Chemicals in Chemical Based Sunscreens Absorb into the Skin and Body and Create Free Radicals which are Known to Cause Skin Cancer. Many Chemical Sunscreens also contain Preservatives that can cause Hormonal Disruption.